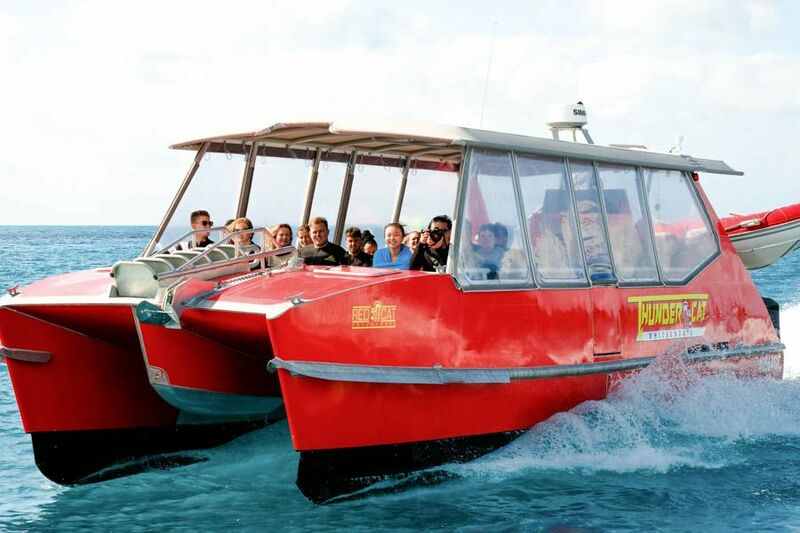 Experience an adrenaline rush unlike any other with these two action packed activities! The Airlie Adrenaline package has been designed to offer adventurous travellers the ability to experience a thrilling 15'000ft Skydive in combination with a rapid Whitsunday Island day tour visiting all the top-featured island locations. Take the leap and explore the Whitsundays the 'Airlie Adrenaline' way! Thundercat is hard to miss as she cuts through the water. Her bright red colour combined with her impressive speeds will have you wishing you were on board, enjoying the ride! With two 300 horsepower engines, Thundercat was not only built for speed, but also for stability and comfort. Thundercat is a multi Award Gold winner for Adventure Tourism and Tour and Transport Operator in the Whitsundays! 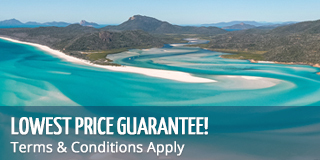 Taking passengers to the hotspots of the Whitsundays, this popular trip is ideal for those who are looking for an all-inclusive day trip around the stunning Whitsunday islands. Skydive Airlie Beach is in the heart of Queensland's most popular tourism spot, the Whitsunday Islands. Just minutes from the beautiful town of Airlie Beach, we provide free return transfers to your accommodation. Skydive Airlie Beach and jump from the incredible altitude of up to 15,000 feet directly over the crystal clear waters and sparkling white sands of the Great Barrier Reef. Experience the ultimate thrill of free fall at over 220 km/hr for up to an insane 60 seconds, and then float under canopy for 5-7 minutes soaking up breath-taking views. Skydiving Airlie Beach just doesn't get any better. *Note: There is an Australian Sky Diving Students Licence (Mandatory) AU $35pp to pay on arrival. To view the sample menu for Thundercat please click here.